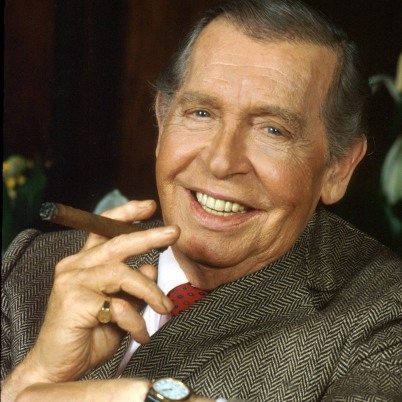 As I continue my recent reminiscences about the theme songs of entertainers, I’m struck by the contrast between the outrageous comic persona of Milton Berle and the sentimental character of his signature tune, “Near You.” Berle, largely forgotten by later generations, was the first major television star and one of the most popular figures in the United States. He started performing in silent movies when he was a child and later was a success in musical theater, vaudeville, and radio. After he brought his slapstick routines and outlandish costumes to television in 1949, he dominated the medium for several years and is generally credited with doubling the sales of TV sets. 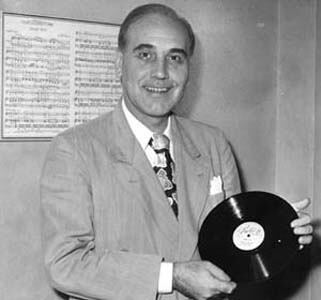 The song Berle chose as his closing theme had music by Francis Craig and lyrics by Kermit Goell. Craig, who had his own dance band, also wrote the hit song “Beg Your Pardon” and a tune called “Dynamite” which is the fight song of his alma mater, Vanderbilt University. The lyricist, Kermit Goell, had an interesting background including a degree in agriculture from Cornell and experience excavating historic sites in Turkey with his sister, Theresa, who was an archaeologist. Goell was also an Army Air Force veteran of World War II. 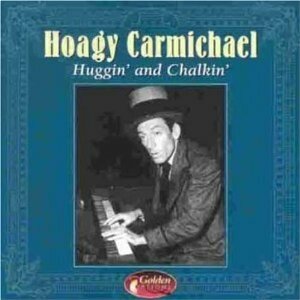 “Huggin’ and Chalkin'”, which Goell wrote with Clancy Hayes, was recorded by Kay Kyser, Hoagy Carmichael and Johnny Mercer, and his “One Finger Melody” was a hit for Frank Sinatra. The lyric of “Near You,” which was published in 1947, begins like this: There’s just one place for me, near you / It’s like heaven to be near you . . . .” As I recall, Berle would appear on stage at the end of his show and sing, “There’s just one place for me, near you / Only one place for me, and that’s near you ….” and then say his good-night while the music continued. “Near Me” has been recorded by Andy Williams, Roger Williams, Nat King Cole, and Jerry Lee Lewis, among others. You can hear the Andrews Sisters’ recording by clicking HERE.